Welcome! We, us & co. at Naughty Little Bear Books–love books! It’s as simple as that. Those constant companions; solid little friends we can all fill our homes with and ever call upon for comfort, inspiration, entertainment and information. 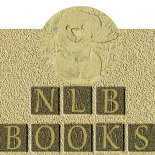 Here at NLB Books Inc. we publish, promote and distribute books – real books! Not e-books. (Although we have no objection to these entities in themselves–just not as a sole alternative to real books!) We love and produce good old fashioned, solid paper books… Books you can hold in your hand, open the pages, stick your nose in and inhale of that crispy, new book aroma that all book lovers relish. At NLB Books Inc. we harbour an absolute appreciation and respect for the importance of preservation of the written word for future generations. We publish, promote and distribute only the books we love and we hope that you will enjoy them too… treasure them, look after them and they will stand by you for a lifetime; little treasures you can place on your bookshelf and keep for generations to come. All our books are distributed globally and can be purchased online via our re-sellers or ordered through any bookstore by providing the title, author’s name and ISBN of the book you are interested in. If you’d like to view our titles, simply Click Here…!